Browse our FAQ below to see answers to commonly asked questions. If you have additional questions that are not listed please Contact Us. For instructions on how to use the 401 Model, please see the Tutorial. What is the 401(k) Allocation Model? 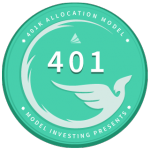 The 401(k) Allocation Model (401) is our premier Investment Model for 401(k) investors. It’s designed to provide a complete portfolio management solution for people investing through their employer sponsored 401(k) plans. How does the 401(k) Allocation Model work? Who should use the 401(k) Allocation Model? Anyone who invests in a 401(k) plan will benefit from following the 401(k) Allocation Model. The 401 Model will help you keep your investments in sync with changing market conditions. What role should the 401 Model play in my overall portfolio? The 401 Model is a complete portfolio management solution, designed to manage your entire 401(k) account. If you’re new to Model Investing, consider using it for only a portion of your account to get started. As you become more confident in the 401 Model’s performance, you can begin using it to manage your entire account. Where can I see the 401 Model’s historical performance? You can view the 401 Model’s historical backtested performance here. Pay special attention to the table of risk metrics, it’s important to understand that the 401 Model’s outperformance does not come as a result of taking on more risk. 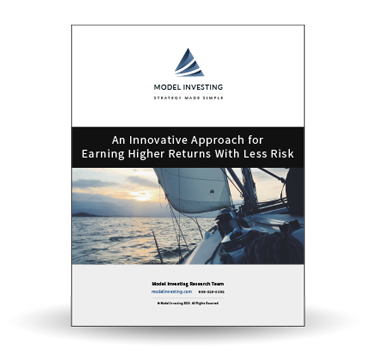 In fact, the 401 Model exposes your money to significantly less risk than traditional investment approaches. How does the 401 Model achieve such high performance? Where can I see the latest 401 Model recommendations? You can see the latest 401 Model recommendations here. Access requires a premium subscription. How do I use the 401 Model? I’m already retired, can I still use the 401 Model? Yes. People are living longer these days and it’s important that your money continues to work for you during retirement. 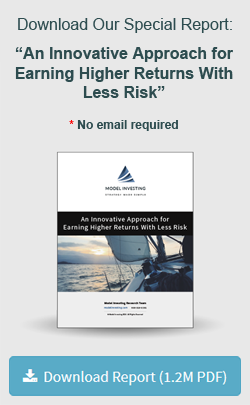 Because the 401 Model has been able to generate higher returns than both stocks and bonds, and also avoid major losses during market crashes, we feel comfortable recommending it to investors of all ages. For more information on how to de-risk your portfolio during retirement, please see this article. Will I incur transaction costs while using the 401 Model? What happens to the 401 Model if the stock market crashes? The 401 Model is able to recognize developing periods of stock market weakness and will move the portfolio into bond and/or stable value funds during the early stages of a crash. This limits losses and is one of the primary benefits of the 401 Model. When the stock market begins to recover the 401 Model will move back into stock funds. Does the 401 Model use target date funds? No. The 401 Model does not use target date funds. Model Investing recommends that all investors avoid using target date funds due to their inherent problems.